We developed the website with search engine optimisation in mind. 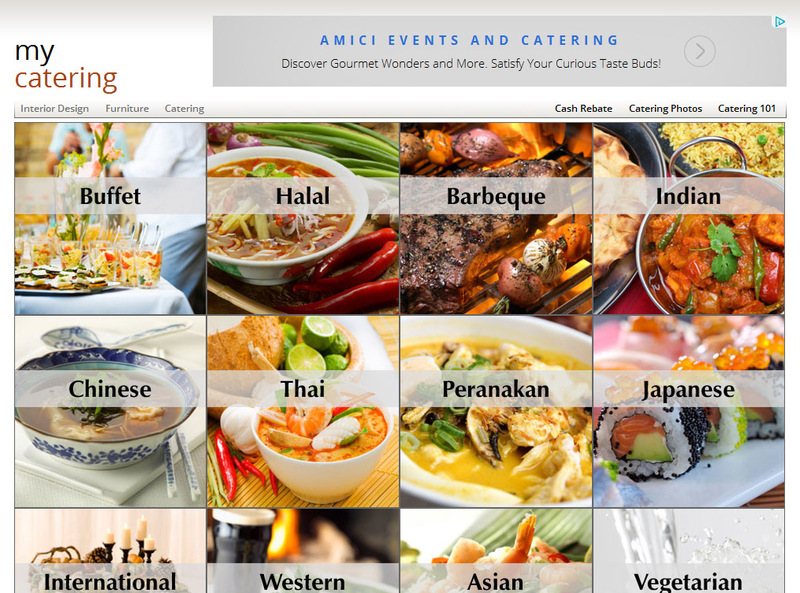 Her home page consists of a collage of mouth-watering catering dishes. These food images clearly illustrate the various catering categories to both human and Googlebot. 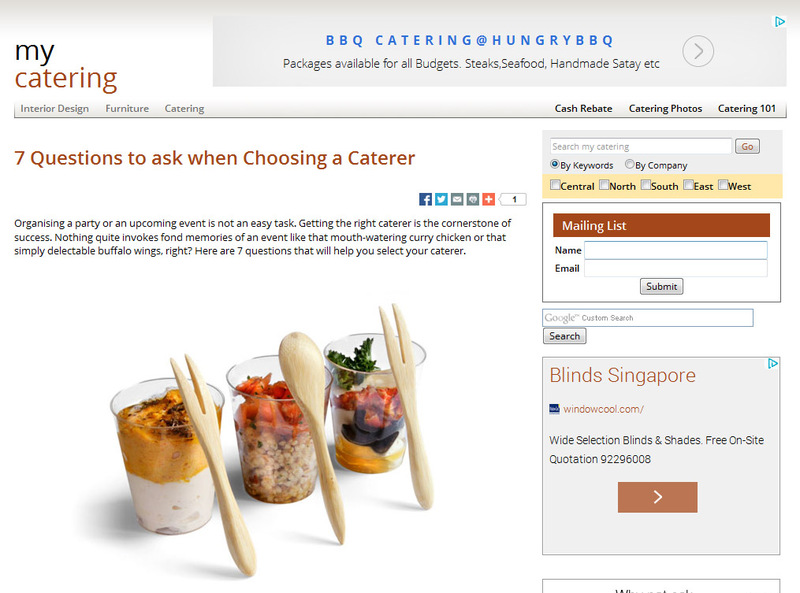 The web portal lists hundreds of caterers in Singapore. Each listing can come with a menu and slide show. 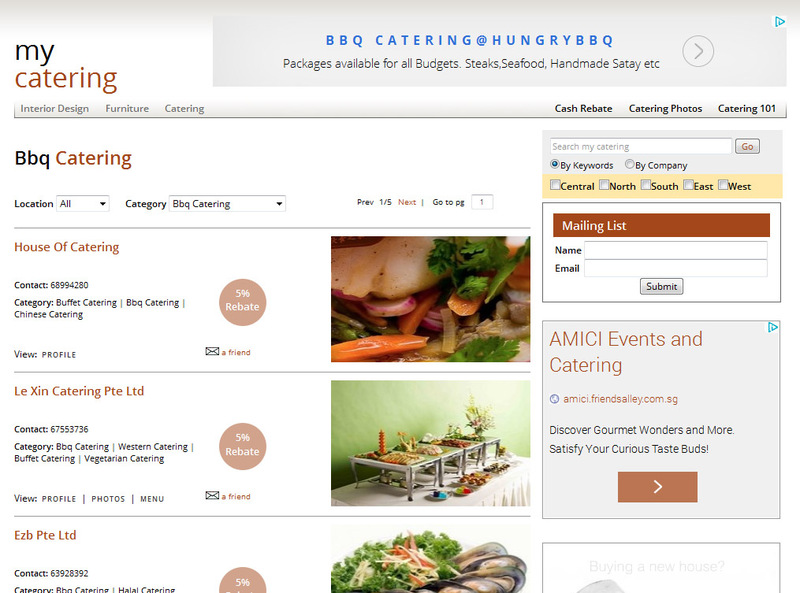 The profile page displays contact details, including a map of the caterer location. This map is dynamically created by integrating Google Maps into the site.